Lord, it seems I am prone to the noise of the empty-headed mindless crowd. It’s leaving me empty. Without life. Your word says that when I feast on your words I’ll live. Make me attentive to you today. I will incline my ears toward you. Let your words fill my heart and bring life and healing to my hungry flesh. Help my eyes to look straight up to you and not be distracted by things that take me away from life-giving wisdom. Help me not to swerve to the left or right, but let me get wisdom and prize it highly. I want to hear you. It’s what happens when you can’t hear the voice you desperately need to hear. You might be experiencing it now without even knowing it. Cell towers were overwhelmed by the many calls and the white out in the sky. I tried desperately, but the calls kept dropping out. For fifteen seconds at a time, my service would work and then…nothing. I could not get to the one voice I most needed to hear…the one who could actually help me in my circumstances. As I sit here, the Lord is revealing to me that this is how I live my life daily. In static interference to the Voice I most need to hear. The static is caused by too many voices trying to say things but saying nothing. Counting them and hoping they increase in number. The desperate waiting for them to text me back. The adrenaline rush when the sound on my phone tells me they did. An occasional real live meeting with a skin-and-bones friend. These things get in the way. They are my crowd. Even Jesus stepped away from the crowd so he could hear the One he most needed to hear. Rejecting the adrenaline rush of approval, he pressed away from the spreading fame. He knew how much static interference the crowd could create. How desperate he was to hear the Father. Our spirits are hard pressed to hear the Father. I’m not alone in my weak cell signal to heaven. The Washington Post reported that in 2010 the average 18-year-old young woman was consuming 7.5 hours of daily social media communication! That’s a lot. Considering the depth of the kind of communication we engage in when on social media. (At least, I’m talking about myself here. “Stuck in Philly airport. The good news: won the lottery and got selected for TSA pre-check.” Now that’ll make someone’s day better, huh?) And get this: women are more likely to be double-screening than men! Apparently 60% of us have to be tweeting and snap chatting while we’re watching Hulu or Netflix. The volume of our nearly meaningless social media conversations grow while meaningful time spent in face-to-face communication dwindles. (And might I ask how your daily social media intake stacks up against the daily amount of time you spend feasting on the presence of God?) The static interference of our social media cancels out our ability to hear not only from God, but to grow closer to each other. Early research on what is called the “Facebook effect” reveals an increase in loneliness and depression. Imagine that. More “friends” than ever before, but we can’t feel the friendship. Please hear me: I like my Facebook and Twitter. (A little too much, I confess.) They are not inherently evil, but God desperately wants us to get smart about this! To step away from the crowd. Too much of each other is a great distraction from the Father..and ironically, each other. We end up in superficial stumps of friendship. I’m getting away from the crowd. I will quiet the static noise. Go to my mountain where I pray. Purdue Mountain with the little house. Ask him to put life back in these bones. To press away from the noise of crowd and find the life giving refreshment that’s in the Father’s voice. I can’t promise it’ll be easy. The places Jesus went to were “lonely” and “solitary.” Don’t try this if you’re not so committed to hearing the Father’s voice over the crowd’s noise that you can stand a little bit of lonely. It’s too hard. But oh, to have just a taste of the intimacy that Jesus had with the Father. 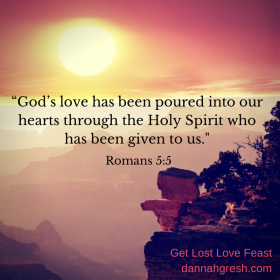 If you’ve read Get Lost, you’ve already experienced the original ten day Love Feast. It’s time to step up to the table once again and feed your spirit. Come away from the crowd. I long to give you what you want. And it’s rather simple. My words are the pathway to what you deeply desire. But you must be careful not to succumb to the interference of other words. The noise of the crowd. Instead, you must read my words and then walk forward. Don’t look to the left or the right, but look up. Come straight to me, following the trail of my words. In them you will find Wisdom. And that is all you need for the good success and true life you seek. Simple things can distract you. Other words will seem important but only my words give life. Seek them. And it’s this simple: get my words into your head today. They are life. As always, it is not what I write that will bring the Presence of God into full manifestation in your day. It is what you write. Grab your journal and a cup of java before you read each day and then write back to God what’s been uncovered in your heart. You may even write what he says write here in the blog comment section. Just write! I will be praying that he presses the distraction caused by static interference away so you can hear the Voice of Wisdom clearly. What If I’ve Messed Up Sexually? Previous articleWhen You’re Walking On Water…And You Sink. Wow… I prayed that God would speak to me today before reading this devo. and He certainly did! I spend way to much time on facebook, and way too much time worrying what others say or think about me. 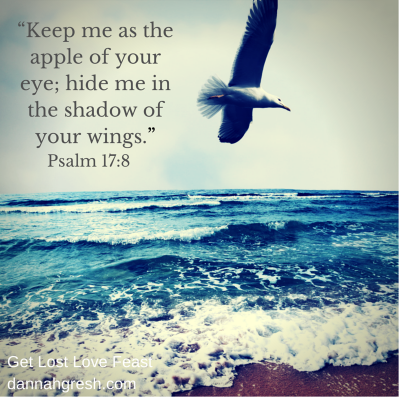 I live constantly in the static noise, rarely allowing myself to be quiet, feasting with God. I plan my weekly children’s min. lessons and music sets to lead worship with our congregation, and it seems like the only time I open up God’s word is to prepare for something that is work related. Not anymore!! It stops today. The Lord is yearning for me to just come sit and spend time with Him…. and I am too busy worrying about spending time with others. Thank you for this awesome devo. It was just what God wanted me to hear today! thank you for this dannah. so thankful for the the words God puts on your heart! thankful that you share them! i need to get back to the mountain and remain there daily. i appreciate you helping me start my journey. Ahhh, breath. Life. Truth. I needed this! Thank you! Looking forward to tomorrow’s date! I ve started the Love Feast few days ago and immediatly feel the need of take some distance from social media and everything… i can not fast on guys if i always open facebook and see new cuples or gossip. So i want to pause the love feast and do this for 5 days with you! And then go back to get lost, after ive been focused with this!! I knew i have to do this, and your idea is a sign i have to start: your guide will make everything easiest. What a perfect answer to a prayer before you even prayed it! God always has our backs, Liaria! Wow! What a powerful devotional! I thought these devotions started today on Monday, but oh well, I guess I’ll just start a day late! 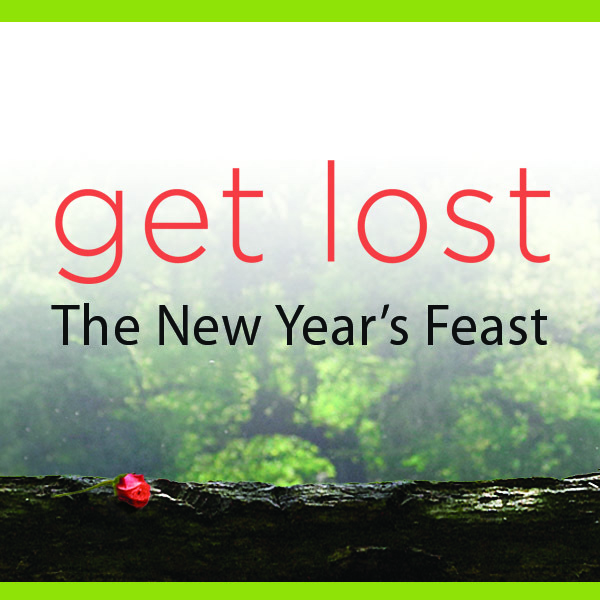 My friends and I are doing Get Lost for our school Bible study, and we did the Love Feast. It was hard for them, but they did it. Well, I follow Dannah on Facebook, and I saw her post about this New Year’s Love Feast. I wanted to do it, and so I told my friends in the Bible Study about it. I told them about abstaining from social media during this feast, and they told me that couldn’t stay away from media that long! Well, here I am, doing this! I can’t wait for the rest of the days! I told believe the stats about the media. Every person wants to feel loved and wanted. I know I did and still sometimes do! It’s hard, because as people, we want to be filled, satisfied by something or someone in life! But, many times, we don’t find that longing in God! We want guys, social media, or something else to fill us! I am so glad that I am doing this feast! It’s soo good to get away from drama and meaningless posts and fall in love with God!! Really know Him as my great Communicator! Thanks for joining me, Brenna. (It does start today. I just thought it’d be good to make it live a day early so people remembered. Today was the first day.) You know, the Lord is so proud of you! Thank you for obeying him to unplug with me. The Lord is going to speak to you! Let’s press in no matter who joins us! And love them, because they may be called to something else! Dannah, your words are always inspiring and challenge me to seek God first in everything I do! Being my first year away from college, I had to make the decision to face this new chapter of my life with or without God and I dove head first into His love, knowing I couldn’t do it without Him. 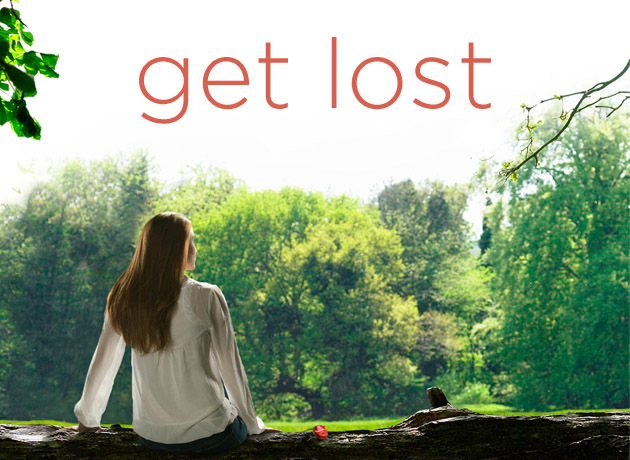 I’ve just finished Get Lost and The Bride Wore White and cannot wait to dive even deeper into a close connection with God with this love feast. Thank you for all you do for women of all ages! Love ya, girl! Press in, Sierra! Wow! This is so amazing! This book has inspired me so much, I read a lot of “spiritual” books, but by far this is the one that’s go to me the most. It makes me sit down and think about my life in a real way. God has been real good to me, and he’s using your book, to get to people like me, who is struggling with the violent craving. So far this love feast is amazingly good! Thanks so much for writing a book this deep and powerful!!!!! Thank you so much for challenging me to come to a realization of just how dependent I am of social media! I love using it as an outlet for positive impact, but it’s so easy to get lost and spend WAY too much time “plugged in”. This fast has been more difficult than I expected it to be! hmph! It’s not that it’s hard…it’s just such a habit that has been developing over years and years! To disconnect feels odd at times, but oh so rewarding when you learn to focus your time where it counts. I think we all want to know that we matter and that our lives aren’t pointless. There is no greater feeling than to know you have made a difference in the lives of others and social media has allowed us to become so connected at every moment of the day that we are sadly disconnecting from the world little by little. This is certainly not as easy as I thought it was going to be, but I’m so grateful for the challenge and the eye opener I am receiving about being DIGITALLY INVADED! I’m so grateful for your work and pray you know the deep impact you are having around the world! To God be the glory! I have really enjoyed reaping the rewards of this Love Feast. 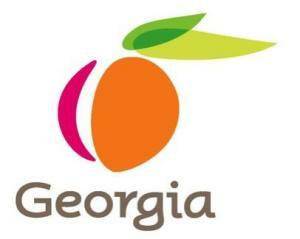 Seeing the fruits of this have payed off enormously. Dannah, you are so sweet and I greatly appreciate all that you do. I have been truly blessed by this ministry. I now enjoy even a cup of coffee with more and more joy! that you have issue with her commenting on the books wihuott having read through them in their entirety. By that logic, no one should decided on the morality of an action they are taking until they have followed it through to its fullest. I have to disagree. I don’t have to study something intently to know that it is wrong. So long as I know what is right, I can make accurate and right judgments on the things I come across in my life wihuott becoming overly involved in them. For example I went to see the movie Anchor Man when it was in theaters, but left just ten minutes into it. The amount of crude sexual jokes and profanity was not something I wanted to be exposed to. I was able to make that decision wihuott having watched the whole movie. I know from talking to others how the movie ended, just as I’m sure Melissa talked to others about the books. That was enough for me to decide that the movie was not appropriate.I’m just a guy in college though what do I know. To truly understand this, take a close look at your attitude and try to capture the thoughts that creep into your mind when it wanders. Tell yourself that consuming such things as Magic Mike and 50 Shades does not change you. Stand up and defend yourself, because you are being attacked by a society that wants to drag you down into sexual immorality.